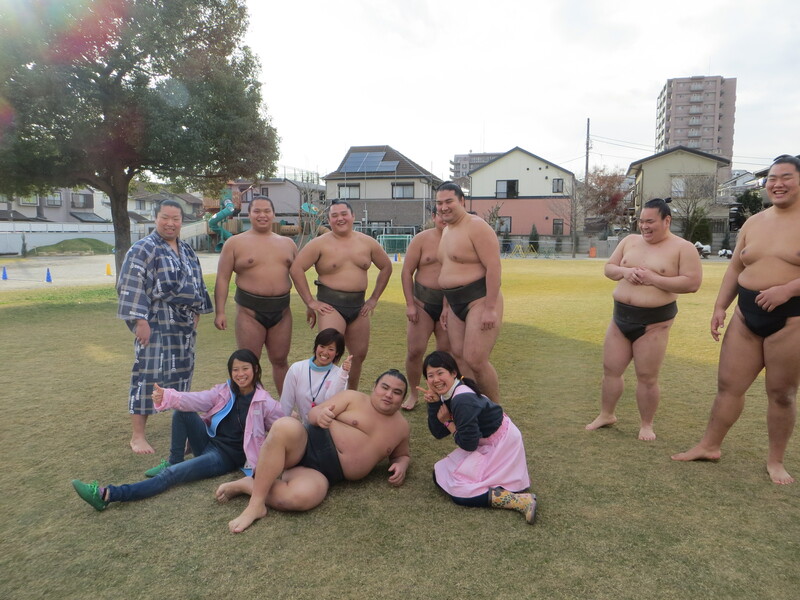 The day I fought a sumo wrestler and won | IKIMASHO! A supersized Omochisuki: one of Japan’s favourite festivals just got BIGGER! I’ve had some amazing experiences since moving back to Japan nearly two years ago. Most have actually been related to my job as a kindergarten teacher here in Tokyo. My job is hard work, but it doesn’t feel like work. I guess that’s what being a parent feels like too. 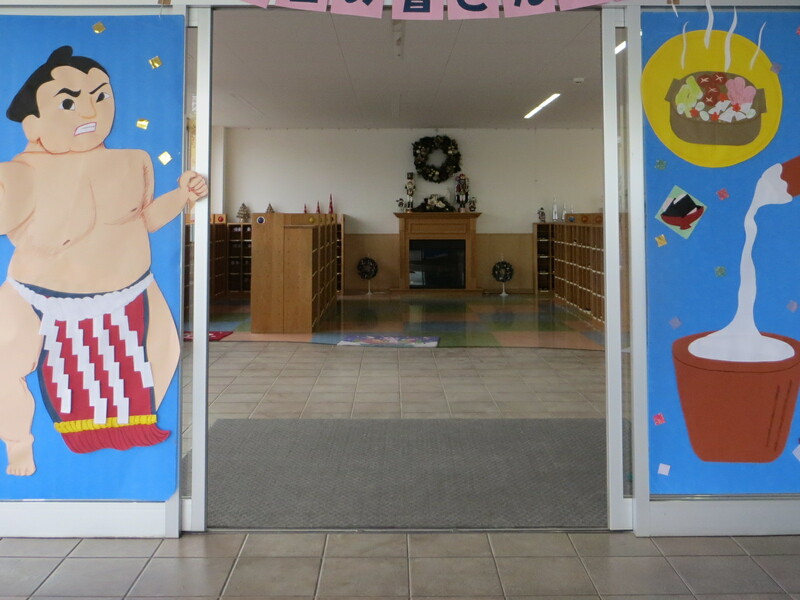 I’m very lucky in the sense that my school tries its best to teach not only the foundations for further education, but also about the strong Japanese culture that these kids will grow up with. 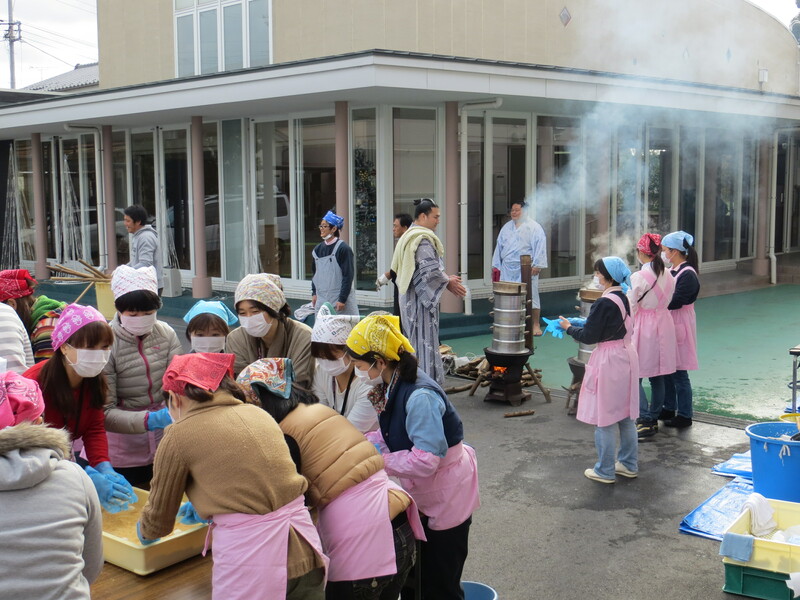 This week was Omochitsuki – a traditional Japanese festival where cooked rice is pounded with large wooden mallets until it becomes mochi, a much-loved Japanese sweet. 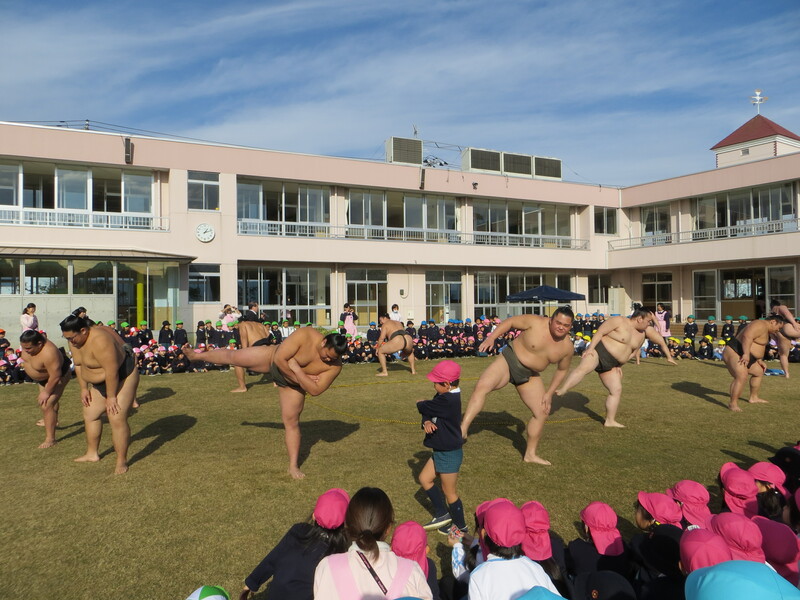 To make this event extra special my school enlisted the help of 10 sumo wrestlers to come to the kindergarten and spend the whole day with us. 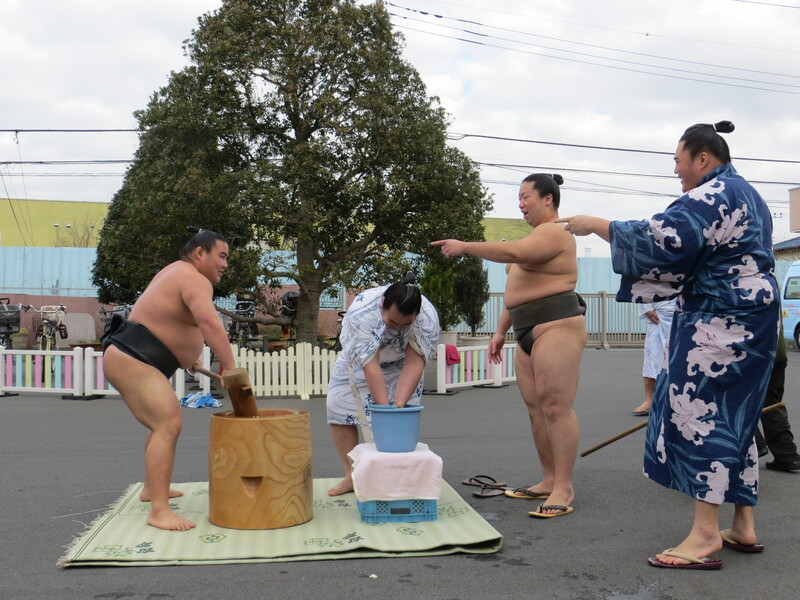 They pounded the mochi, cooked a special sumo lunch for everyone, played with the kids, took part in a Q&A session and did a sumo demonstration. 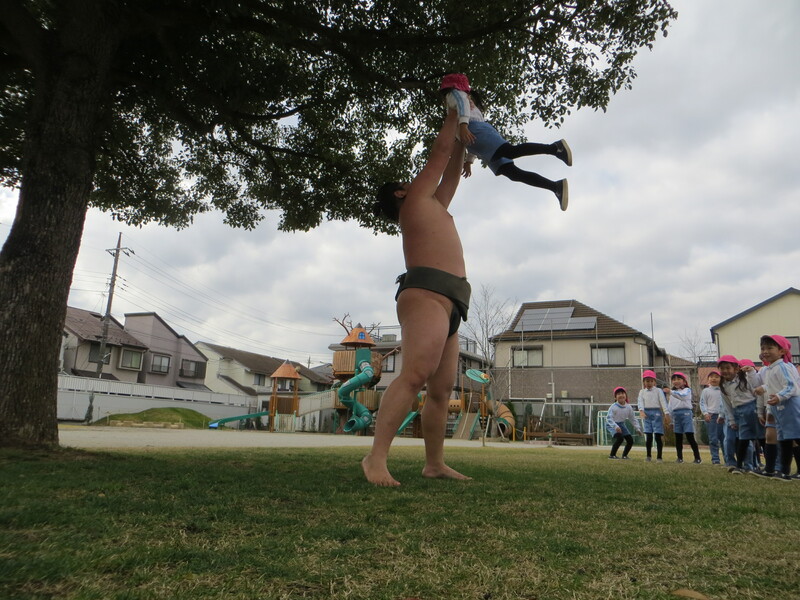 I had a one-on-one bout with a sumo wrestler who let me win, and at one point it became a free-for-all with a lot of the kids just running about trying to knock the sumo wrestlers over. The whole school was filled with excitement and happiness, and it was a day that I’ll never forget. 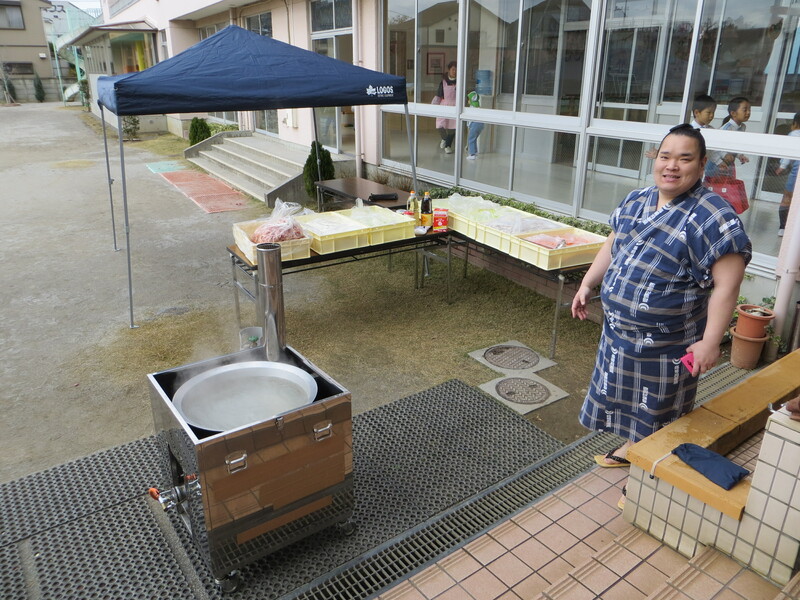 Getting ready for Omochitsuki. Pretty agile these guys, one wrong move and they’d lose a hand! Check out the video below. 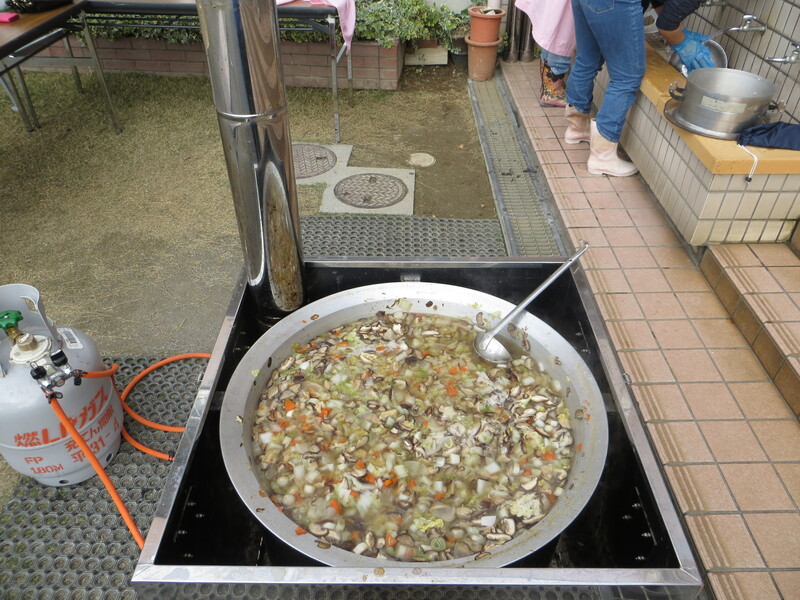 We would be eating chankonabe, a Japanese stew commonly eaten in vast quantities by sumo wrestlers as part of a weight-gain diet. The bulk of chankonabe is made up of large quantities of protein sources (usually chicken (quartered, skin left on), fish (fried and made into balls), tofu (or sometimes beef) and vegetables (daikon, bok choy, etc.). If you want to eat chankonabe for yourself, head to the Ryogoku district in Tokyo where a large concentration of sumo wrestlers train. You’ll probably see a few walking about too. While some sumo wrestlers were pounding mochi and some were cooking, this guy was getting chased around. Or teaching kids how to fly. “You can call me Ebi-chan. I weigh 180kg. 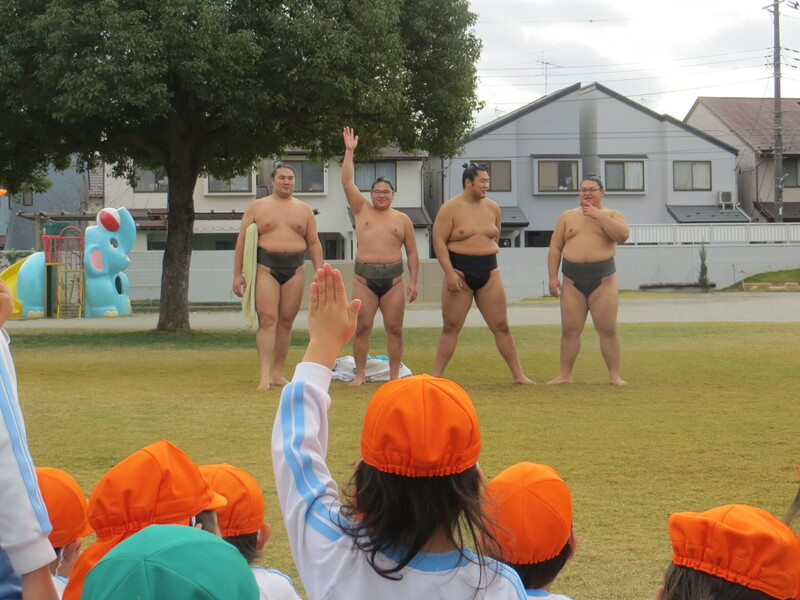 I like to watch Kamen Rider on TV and I became a sumo wrestler because I like eating food.” The most bizarre Q&A session I’ll ever be witness to: a bunch of five-year-olds picking the brains of a group of sumo wrestlers. Atter lunch we were treated to a sumo exhibition. I thought these guys would take it easy on each other… But as you can see from the video below evidently not! 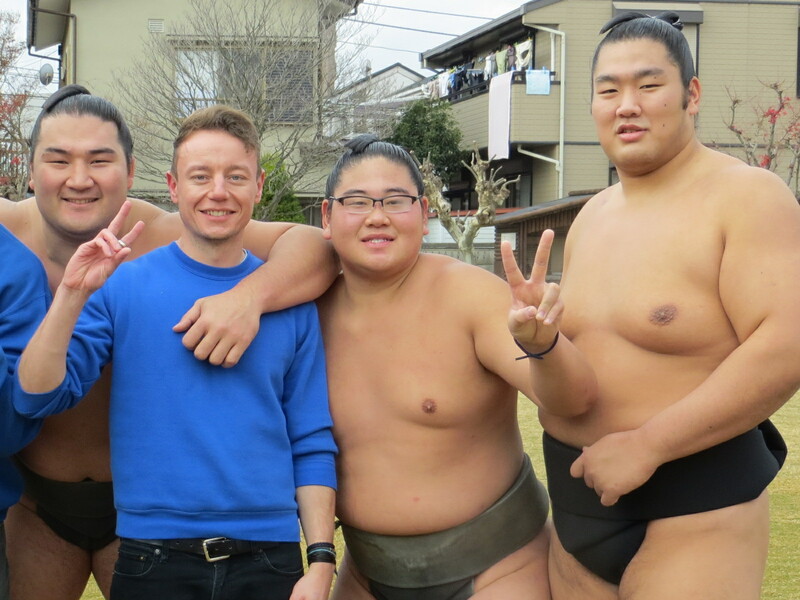 Pingback: COOKING WITH SUMO WRESTLERS. TOKYO, JAPAN. | Ikimasho!